Today, May 23, is World Turtle Day. 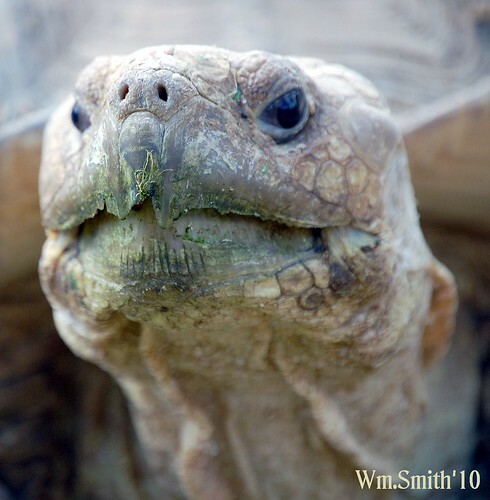 Susan Tellem of American Tortoise Rescue (ATR) created World Turtle Day (May 23) in 2000. In her words: We started World Turtle Day to increase respect and knowledge for the world’s oldest creatures. These gentle animals have been around for about 200 million years, yet they are rapidly disappearing as a result of the exotic food industry, habitat destruction and the cruel pet trade. We are seeing smaller turtles coming into the rescue meaning that older adults are disappearing from the wild, and the breeding stock is drastically reduced. It is a very sad time for turtles and tortoises of the world. To celebrate World Turtle Day, learn something new about turtles, tortoises, and the organizations that advocate for them. Write and tell us what you find out! This entry was posted in Creature Feature, Warrior and tagged sea turtles, Tortoise, turtles, World turtle Day. Bookmark the permalink.